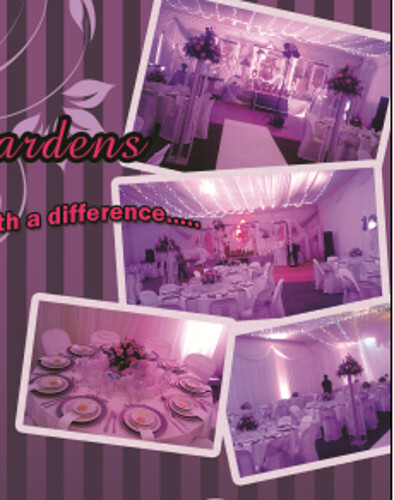 Welcome to The Enchanted Gardens Renowned as the most picturesque garden setting in KZN, this venue offer you a unique & stunning surround for any type of function. Just under 2km from the hustle and bustle of city life, one is ushered into a world of peace, bliss & tranquillity. The shady drive through the well manicured lawns of The Clairwood Racecourse welcomes you into the cosy & friendly ambience of The Enchanted Garden Functions Venue…when dreams come alive!!! We cater for all types of functions such as: weddings, birthday parties, receptions, corporate functions, year end parties, etc. A complete package offered to you with exclusive decor and sumptuous meals…..A one stop shop for all your decor & catering needs. Quality and affection are the hallmark of our business thus placing us as one of the most sought after venue. A friendly disposition of management and staff makes your function feel all the more enchanting. A venue with a difference……….